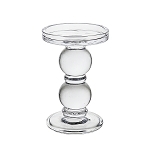 Top quality Rose Quartz candle holder measuring approximately 3.5 to 4.5 inches and weighting approximately 2.2 to 3.5 Lb each. 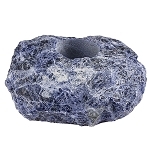 These are natural crystals so color, shape and size will vary slightly from candle holder to holder. There is felt-like fabric on the bottom so it won't damage or scratch your furniture, while protecting the quartz as well. 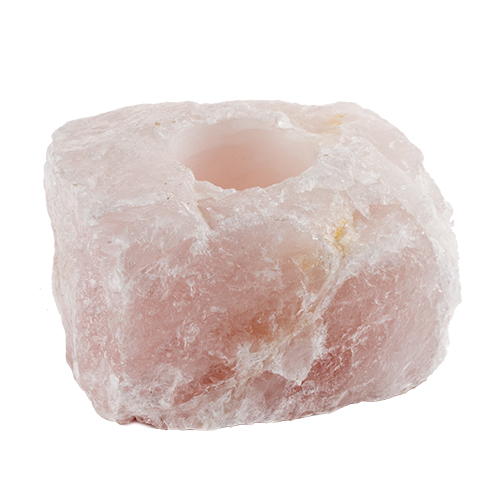 Rose Quartz calms and soothes, bringing a deep peace and sense of tranquility. Use this crystal around your home to create a safe and peaceful space.